Journeying through recovery can be hard. It can be lonely. People around you may not have a clue what you are grappling with or the daily battles you face. Even close friends and family may sometimes be unable to fully grasp the enormity of the processes that are involved in a recovery journey. 365 Days of Hope is a companion to the recovery journey. Each day there is a short page to read and once a week some suggestions for things to consider to enhance your recovery journey. I can't walk right next to you all so I have done the next best thing - found a way to be as close to you in your journey as I can. 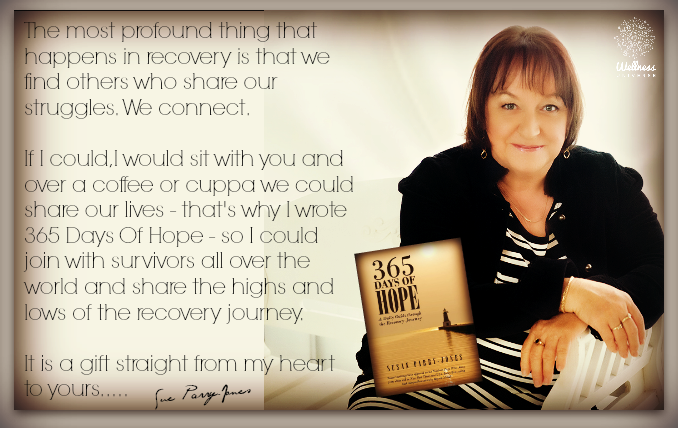 365 Days of Hope is available in paperback and e-book form as well as a kindle friendly version. You can order your copy of the paperback book here, the e-book here and the kindle version here.